How to handle a retrospective in the beergarden? 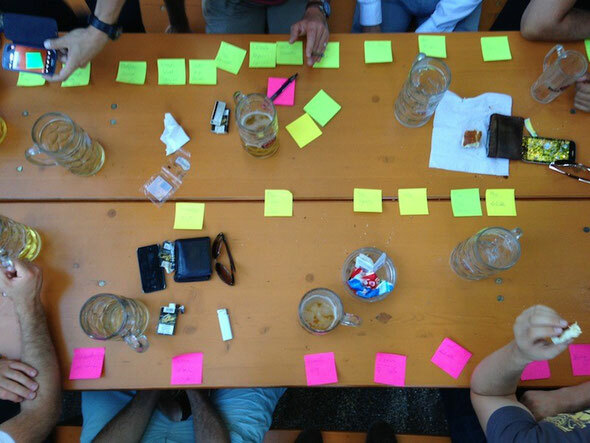 Can you create a useful and reasonable retrospective in the beergarden? I made one with some fantastic storytelling, where everybody hang on every word of our team member leaving and where we had deep connections between the participants. In my opinion the retrospective was really awesome! 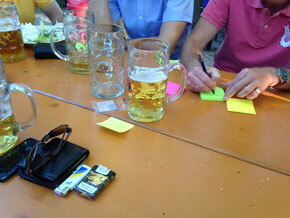 How to handle & prepare a retrospective in the beergarden? That was the question I asked myself, when I planned a retrospective combined with the leave of one of my team members from the project, who was also the first project team member two years ago. The future of several team members was not clear. Some people will come later, so the first ones would have already drunk some beer. The timeline is very good method for longer retrospective timescale. I never use the timeline in Sprint retrospectives (2-week Sprints). The benefits are that a timeline enables story telling and builds a strong connection between the participants of the retro. Well I am not sure, if this is "the real name" of the method. 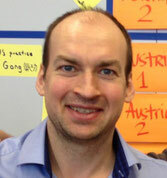 Write one thing you appreciate about <teammember> on a post it, fold it and write the name of the <teammember>. Hand it over to the team member. An optional backup. Just get some paper and colored markers. E.g. draw something regarding the future of the team member leaving or the team or the project. The timeline is made by the long time project member who leaves the team. Other participants add additional insights later.